Tonight promises 3 hours of big names and at least one big match that we had predicted as a main event for SummerSlam. Last week’s Raw was a huge improvement coming off the Money in the Bank pay-per-view that saw a lot of changes in direction for top names. The quality of the show has been declining in recent months, especially as we contrast where interest in the show was last year prior to and post-Money in the Bank 2011. It’s a safe bet that WWE will pull out all the stops tonight but the big questions are will it pay off based on what we’ve seen lately and how long can they continue to produce three hours of television that will keep people watching on Monday nights. PTB: Tonight’s the big night we’ve been hearing about for months and while John Cena and C.M. Punk will be the main event, Big Show and Punk were great last week both in their opening confrontation on the mic and in their main event match. It was clearly building to the Cena vs.Punk confrontation that we’re promised for tonight, but I think that will be the tip of the iceberg as we start down this path of Punk demanding respect and attention. I’ve gone on record predicting Cena will be the first to lose after cashing in a Money in the Bank contract, and with this match happening at Raw 1000 rather than SummerSlam I think it’s even more likely. My dream booking would be for Cena to actually turn heel as a result finally breaking because even though he’s back in the spotlight he can’t win the title. THE JASON: I’m not quite convinced yet that Cena won’t walk away with the title next week or at Summerslam. I think that tonight will invariably lead to another match at Summerslam, which I’d have no problem with going by the chemistry these guys have exhibited together in previous matches. I find it improbable that Cena will turn heel. What I’d like to see be resultant of a renewed program between the two is not so much Cena losing, but simply that he cannot beat Punk. Cena can remain a superman, but Punk is the one guy he can’t overcome. This would be similar to how Tommy Dreamer could never beat Raven in ECW (taking out the part when Tommy finally did beat Raven after 3 years.) I think that would add some depth to a feud which has ostensibly been going on since last July. It would also rebuild the WWE title which I feel has been depreciated due to Cena being viewed as the main event with or without the title. I think the only way to get Punk, and the title back to the point where he was at last summer is with a big win over Cena. Otherwise just give Cena the belt. THE JASON: On the other side of the belt equation, we have Dolph Ziggler coming out of the Money in the Bank PPV with the Smackdown suitcase. Initially, I was pretty high on the idea of Tensai or Tyson Kidd winning, but I think WWE made the right choice with Ziggler. While I wasn’t happy with his near-miss cash-in on Sunday, his performance on Monday redeemed him. As we discussed, it looks like Chris Jericho has now returned to being a good guy and Ziggler really shone in breaking down the walls of Jericho’s usual strong facade. Look at me with the wordplay! PTB: Well done. Taking Jericho off TV for a few weeks worked to get him back in favor with the fans, but Ziggler has been all over the place lately. Given the emphasis the announcers have placed on the fact that everyone who has cashed in a Money in the Bank contract winning a title lately, I have to think someone is about to fail. If it isn’t Cena, Ziggler is certainly fair game. He’s gone from main eventer to afterthought a few times already this year, but the confrontation with Jericho had both of them come out looking good. PTB: While we’re talking about championships, I have to bring up what I think should be one of the most important ones, the WWE Tag Team titles. I love seeing the tag belts defended on Raw, but why did Abraham Washington’s “Prime Time Players” get a tag team title match after a pay-per-view loss to another team? It’s this kind of mystery booking that’s hamstringing an emerging tag division. What was the point of having this team lose to Epico and Primo at Money in the Bank when the winning team doesn’t even appear on Raw? THE JASON: I don’t know of this emerging tag division that you speak of. That would mean that it would have some guys that weren’t treated like a bunch of afterthoughts and fools. PTB: I really like where the PTP could be heading and what it could mean for the tag division, but AW has to work on his constant jabbering if he’s going to be on a live mic at ringside. Jimmy Hart never let up and this needs to work the same way. THE JASON: I agree with the Jimmy Hart comparison, but those are big shoes to fill. In all actuality, Jimmy is a pretty tiny guy, so they are most likely small shoes to fill. But you get my point. AW needs to do more than say “That’s right! Get Up! Come on now baby!” He needs to really channel his innermost annoying manager. 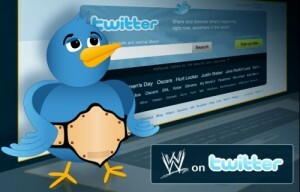 PTB: Another surprising appearance on last week’s Raw came from WWE’s “Tout.” After embracing Twitter on a molecular level and managing a degree of success with it, WWE social media rolls out a place to send in video. Then they proceed to air submissions on Raw?!? Is it ironic that this debuted just before a Zach Ryder appearance? THE JASON: They invested in Tout, which is why we’ll be getting 3 hours of Tout-mercials for the foreseeable future. I’d like to do ourselves and our readers a favor and make this MLD article TOUT-FREE! PTB: Agreed. So Alberto Del Rio get a squash victory over Ryder just to bring back Rey Mysterio. I loved the return, but Ryder continues to get buried after a big crowd reaction and Rey would have been great in that Raw ladder match at Money in the Bank rounding things out to six participants. THE JASON: Absolutely! The only reason I imagine that they held it off is so they could bring Rey back against Del Rio, since ADR is the guy that took him out last year. Wait, is that storyline continuity? AMAZING! The match should be good too since Rey and ADR always work well together. Was it me, or does Rey look a lot less muscular now? PTB: In the penultimate edition of “Heath Slater takes on a WWE Legend” leading up to tonight’s 1000th episode, Rikishi and the Usos get some air time. I’d rather see these two in a match but maybe this is a way to finally get them over. A feud with another team could do that too. THE JASON: I expected Rikiski at some point since he was a pretty big attitude era star, active and has ties to the company with his kids. My problem with this segment: You have Rikishi and Brodus Clay on the same show and you don’t put them out there at the same time? WHAT????? Missed opportunity! BOO. I would have had the Usos come out ready to dance and then get attacked by Tyler Reks N’ Efx and have Brodus make the save. Then EVERYONE DANCES! Then you could have set up The Usos vs. The Job Sqaud. PTB: A lot of legends were shown last week in the Raw 1000 promo including Bret Hart. I’d love to see him. Anyone else you think makes an appearance? And which one takes down Heath Slater? THE JASON: I’m not sure. I mean, I think Steve Austin has to make an appearance, right? But I can’t see wasting him with Slater. Slater’s segment where he talked about “Cyndi Lauper gave me a platinum record! DDP taught me the Diamond Cutter!” was fun, but who do you think will be tonight’s surprise? The Slater thing has to lead somewhere, unless we do away with the legends and just have Ryberg come out and demolish Slater leading to Little Beaver, Dink and the Haiti Kid all coming out and do little people splashes on the One Man Rock Band. PTB: Eve and The Miz? I’ll take it. Especially against Daniel Bryan and AJ. If AJ isn’t being used to bring in someone new this is a fine substitute. The crowd was way into Bryan, I have to ask though, where was any talk of Bryan and Miz’s history? THE JASON: Maybe I was reading into the storyline too much. I figured that Eve picked The Miz as her surprise partner because of the history between the two. Maybe I was giving them too much credit. PTB: Maybe, but that’s a lot more subtle than most of what we get on this show. By the time this segment ended, not only were Bryan and AJ back together, but we’re getting a wedding tonight at Raw 1000?!? Their engagement may have gotten both back on top in an instant and I never would have thought that possible. Now hopefully WWE doesn’t screw it up. THE JASON: Come on now, ye of little faith! Have they ever screwed up a wedding angle? Lita and Edge! Stephanie and HHH! Stephanie and Test! Billy and Chuck! Well, they all can’t be Savage and Liz. PTB: I really hope the wedding isn’t spoiled by something awful like Punk “taking back Monday nights from those who would seek to overshadow him” and he’s not part of whatever they have planned here. PTB: Let’s wrap things up before the show goes live by running down some of the things we know are on the schedule for tonight. A D-Generation X reunion to start the show at 8. It’ll be fun, but is that special with how many times we’ve seen these two in recent years? This has to lead into Brock Lesnar and Paul Heyman coming out to answer Triple H’s challenge for SummerSlam. I love the way this has been drawn out, but I’m almost afraid it’s going to be overshadowed. THE JASON: I would love to see Brock demolish Shawn before the DX thing even happens. I have no interest in a DX reunion, unless it involves X-Pac, Chyna and the New-Age Outlaws. And I don’t see that happening – at least not with Chyna’s involvement. I feel like Triple H and Shawn have “reunited” 15 times already. PTB: The Rock returns and I fear his comments about becoming WWE Champion once again. THE JASON: While The Rock doesn’t need the belt, it would certainly lend some credibility to it. Imagine if Ziggler cashes and gets the World Title from Sheamus and then Rock defeats Ziggler. Everyone and the belt gets elevated. I don’t see that happening since I think the World Title hasn’t been thought of as “THE BELT” since Batista held it. PTB: I’m pretty sure the Rock and the announcers have all been saying “WWE Champion” specifically. So while the World title scenario you describe would elevate that belt and its contenders, the Rock’s involvement would only diminish the current stars in the WWE title hunt. THE JASON: You have a point, although Cena and Punk are the top two guys in the company. We really need to get back to have one title though if the brand split is dead, they’ve already done it with the tag titles. PTB: Cena cashes in his Money in the Bank contract against C. M. Punk. They’ve tried the premeditated announcement of when someone’s going to cash in, but I don’t recall that it’s ever happened according to plan. From Ken Kennedy to Daniel Bryan, something has derailed the challenger and I’m afraid the same might happen tonight. I’d rather see a controversial ending lead to a SummerSlam rematch than not have the contract cashed in due to interference, but honestly a Cena loss, heel turn, and monster program against Punk is what I want to see. THE JASON: I have three letters for you sir: RVD. Van Dam did the pre-planned announcement and cashed it in at the 2nd ECW One Night Stand PPV that re-launched the brand. THE JASON: They dropped the “Guest GM” last week. Did they mention something about it last week and I missed it? Will it get resolved tonight as well? PTB: The guest GM for Raw #999 was dropped but I’m pretty sure they still mentioned a permanent GM being named at 1000. THE JASON: We’ll have to see. Kelly Kelly is rumored to be coming back tonight, maybe she’s the new GM! Of course, it could also be Michael Cole. I’m pretty sure tonight’s show will be a star-studded affair and we should get a PPV-quality match or two as well. It certainly won’t be like the non-event that Smackdown‘s “Great American Bash” was a few weeks ago. My concern has to do more with the longevity of the three-hour format on Monday nights. If tonight is a big success both ratings-wise and artistically, can they keep up the pace? More importantly, will they be able to keep the audience engrossed for a larger chunk of time for an ongoing period? 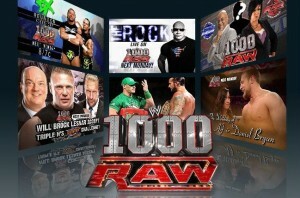 RAW 1000 begins live at the show’s new start time of 8PM on the USA Network.